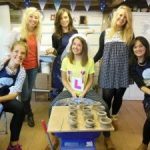 The workshop starts at 10am where you’ll be individually assigned a potter’s wheel for the duration of the workshop. 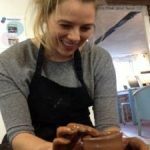 After tea/coffee, introductions and initial demonstration you will be taken as a group, step by step, through the pot throwing process. Once you have got the hang of things, you will be encouraged to develop at your own pace with individual tutoring as and when required. Around 1pm, a lunch consisting of rolls, cheese, ham, salad and fruit is served. 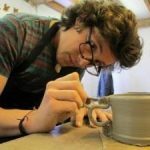 In the afternoon there will be further demonstrations after which you will work larger lumps of clay, make bigger pots and explore different shapes and forms. 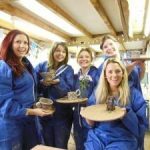 At the end of the workshop you will be expected to clean your wheel and select your favourite one or two pieces, depending on size to be fired and glazed. (Extra pots can be fired at cost – approx. £6 per item payable on the day) The session ends at 4pm. 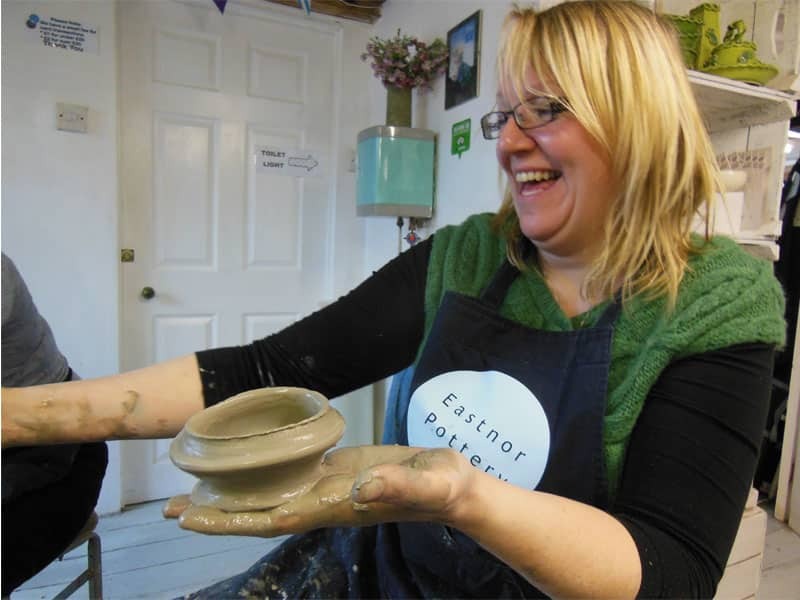 How to book: Please contact the Pottery to check availability admin@eastnorpottery.co.uk Tel: 01531 633886. 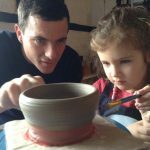 £130 Includes refreshments, lunch, firing, glazing (1-3 pots) and the cost of posting your masterpieces.